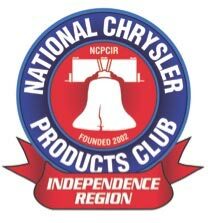 The Independence Region was founded during 2002 by a core group of NCPC members who wanted to build upon the motto “Fun, Friends, Family” and create a more frequent opportunity to share our common interest in Mopars. While most of our current members live in Bucks and Montgomery counties, the region covers the seven-county area around Philadelphia. We now have a PDF writeup of our 2017 summer events (click to view). On Sunday March 26th, ten members from the The Independence Region hopped in their “daily drivers” and for a trip to historic Toms River, NJ where we met meet with members of the New Jersey Shore Region. Director Mike Riebe and members of the New Jersey Shore Region reserved a private parking area for our cars and graciously treated us to lunch at the Artisan’s Restaurant and Brewerey. The combination of delicious food and conversations with new and old friends made our time at the restaurant pass quickly. Upon leaving the restaurant, Mike led the way for a drive to the Toms River. The Victorian homes and other buildings along the riverfront were absolutely stunning. Our driving tour ended with the opportunity to view an extensive, private, collection of 1950s - 1960s memorablia. A big “thank-you” goes out to Mike Riebe and the members of the NJ Shore Region for their hospitality and hard work in hosting a wonderful afternoon in Toms River! If you can’t make it to our Lansdale Show, we hope to catch up with you at the 2017 NCPC National Meet, in Bethlehem, PA. The Independence Region meets at 7 PM on the 4th Monday of each month at Giuseppe’s Pizza and Family Restaurant, 1380 W. Street Road, Warminster, PA 18974. New members are always welcome! NCPCIR helped to kick-off the holiday season by participating in the 2016 Hatboro Holiday Parade. This year it was so cold and blustery that it wasn’t possible for Anne Christian and Bonnie Parker to walk in front of the cars with the IR banner, as they did last year. Linda and Alan Eickhoff graciously treated us to a delicious luncheon of homemade vegetable soup and sandwiches before we went to take our place in the parade line. Participating in the parade this year was Alan Eickhoff with his 1948 Dodge 4 Door Custom, Bob Snyder with his 1983 Plymouth Scamp, Anne Christian and me in my Mom’s 1987 Dodge Shadow Turbo and Kevin Dusch and Bonnie Parker in her 2010 Dodge Challenger. We were happy that Nia Andrews, 2016 Miss Bucks County, joined our little Mopar parade in a Chrysler Prowler that was provided by the Gary Barbera Dealership. Since the holiday season is always a very busy time and since our normal December meeting would have fallen on the day after Christmas, we decided to cancel that meeting in favor of holding an “after Christmas party” on January 14th. Anne Christian and Tom Price hosted the party at the clubhouse in the community where Anne lives. Even though this winter hasn’t been too harsh, so far, the Independence Region is busy planning for the warmer weather. We’re looking forward to taking a late winter – early spring drive to Toms River to join members of the New Jersey Shore Region for lunch and to visit points of local interest. The Independence Region meets at 7 PM on the 4th Monday of each month at Giuseppe’s Pizza and Family Restaurant, 1380 W. Street Road, Warminster, PA 18974. New members are always welcome!